We have received a diverse range of purchase orders during April. Our distributor in Taiwan placed an order for another Proam ammonia analyser ranged 0-500 mg/L N which will be used as a demonstrator, whilst our Irish Distributor purchased a Protoc 300 TOC analyser for a surface water monitoring application. In the United Kingdom, we fabricated a Protoc TOC analyser system for a renowned Brewery, a dissolved oxygen system to support an existing turbidity installation and South East Water purchased replacement turbidity instrumentation, for a drinking water application. 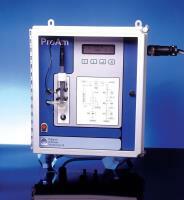 Wessex Water also have purchase two Proam ammonia analysers, for a post nitrification treatment application. Protoc TOC monitor for Suffolk Brewery We have engineered an effluent monitoring system for a brewery in the east of England. The monitoring system comprises our Protoc 300 TOC analyser, with Paper Band Filtration, pre-mounted by PPM into a secondary GRP enclosure, with individual fused spurs, lighting and heating. South East Water purchase two microtol turbidity instrument South East Water has purchased two HF microtol turbidity instruments, to replace the former micro200BW turbidity instrument which have provided more than ten years operational service. The microtol instruments are to be installed on the final treated drinking water supply, to monitor physical water quality at Charing WTW. The microtol turbidity monitor has been chosen for it’s simplicity of operation and proven reliability, witnessed over an extended period of time. 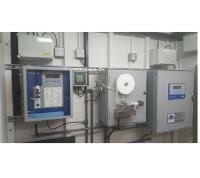 Two Proam ammonia analysers to be supplied Wessex Water We have received a purchase order to supply two Proam ammonia monitors, to Trowbridge WwTW. The instruments will be pre-installed into secondary enclosures by PPM, along with heating, lighting, sample and electrical distribution. Our membrane filtration system will be supplied, pre-mounted in a dedicated GRP enclosure also intended for external mounting, onto a Unistrut support stand. The instrumentation is to be installed as part of a treatment plant upgrade involving tertiary treatment, involving the installation of new nitrifying filters. The Proam instruments have been extensively installed throughout Wessex Water to provide continuous water quality monitoring after biological treatment and will be connected to the site scada, to provide real-time water quality data, for compliance purposes. General Data Protection Regulation (GDPR) compliance preparations PPM has been preparing for the introduction of new GDPR Regulations which will be effective from 25th May 2018. Various training seminars have provided useful insight into the new Regulations which include preparation of policy statements and review of our supply chain. GDPR affects all European citizens and how their data is collected and processed, when held in a structured format. The Regulation may require explicit consent from an individual for inclusion on a mailing list, especially where the personal data is not already available within the public domain. However, with regards our sales activities, in order for PPM to complete our contract with our customers, we will need to continue to hold relevant data as explained within our policy statement. Rest assured, we will keep data secure and we will not sell or rent this to a third party. Since, we believe the best way to proceed with regard our marketing activities is to obtain explicit consent, please contact s.tuck@pollution-ppm.co.uk or register at our web site www.pollution-ppm.co.uk should you wish to receive relevant product and application information, on a periodic basis. Please send me more information on PPM News - April 2018.